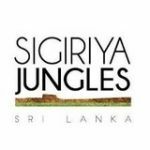 At this stylishly designed up-market 0 60 roomed Sigiriya jungles Resort, we have created an environment that’s worthy of its legendary surroundings. This distinctive Sri Lankan resort covers 10 acres of land along the old route to the magical Sigiriya Rock Fortress. Each room is designed to serve as a sanctuary with tranquil indoor and outdoor living spaces, intimate artistic touches and on-demand service. Part qualification in Accounting / banking exams will be an added advantage.